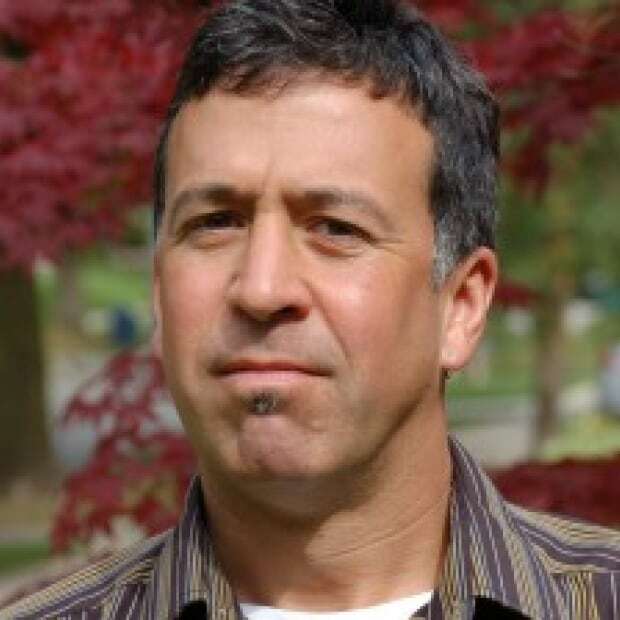 Honouring Black History Month in Waterloo region can include a celebration of food and culture in local restaurants, suggests columnist Andrew Coppolino. And you don't have to limit it to just one month per year. In 1995, the federal government designated the month of February as a time to recognize and celebrate the contributions that Black Canadians have made in our communities. For chef Derek Hines, it gives pause for thought. "I'm hoping we get to a time when we don't need to celebrate black history once a year because it would be celebrated every month. Black History Month has its good and bad for me," said Hines, who is of Jamaican descent and operates Boutique Catering in Kitchener. I think the unique and delicious flavours of Jamaica, the Caribbean and Africa that we can find in the area are indeed worth regular visits: they include some of the best comfort food going, while at the same time highlighting ingredients and techniques that were brought to North America centuries ago. While he loves the Jamaican flavours of ginger, allspice, Scotch Bonnet peppers, jerk chicken as well as African ground-nut (like peanut) stews, a favourite dish for Hines is one packed with a significant history. Note: Red peas, an original ingredient of the dish, came from Africa; for more on how slaves shaped food in North America, read this interesting article by Karen Pinchin. Andrew Beckford of Gusto and Beckford Catering adds the unique flavours of Jamaican and Caribbean food comes from blending ingredients properly. "It's building the spice combinations. It's not as curry-heavy as say Indian food, but curry is a part of the cuisine. Then you have cumin and allspice balanced with the heat of Scotch Bonnets," Beckford said, adding that Jamaican isn't necessarily a regional cuisine, but there are different ingredients used at different ends of the island. At Mark's Caribbean Kitchen in downtown Kitchener, chef-owner Mark Vaughan says he draws on those Indian flavours. "We use spices and ingredients from around the Caribbean and mix them with a little bit of Indian. We do a lot of seafood at dinner too, like pan-fried snapper and curried prawns," Vaughan says. 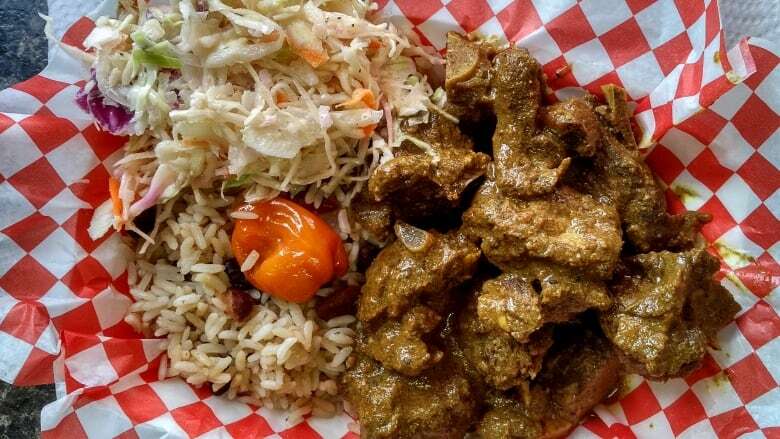 Regarding a couple of his dishes, Vaughan throws down a culinary gauntlet: "Ours is a unique style of oxtail, and customers say our jerk chicken is the best." Kevin Thomas at Big Jerk Smokehouse has a commercial kitchen for take-away on Dumart Place in Kitchener. Thomas cooked rice and peas at CBC Kitchener-Waterloo's Sounds of the Season this past December. He says "run dung" is a unique dish of his Jamaican background which he makes periodically. It's a seafood dish in Patois, a lilting English-based Creole language that's spoken in Jamaica and which has West African influences. "In English, it's run-down," Thomas said. "It's a thick coconut and curry stew that includes seafood and yams. 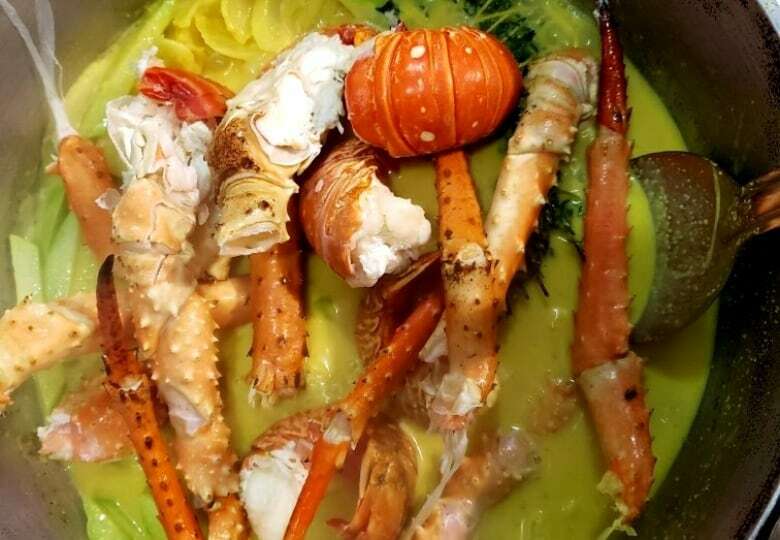 It's traditional to use mackerel, but lobster and crab elevate it." The idea of "run-down" refers to the reduction and thickening of the stew. 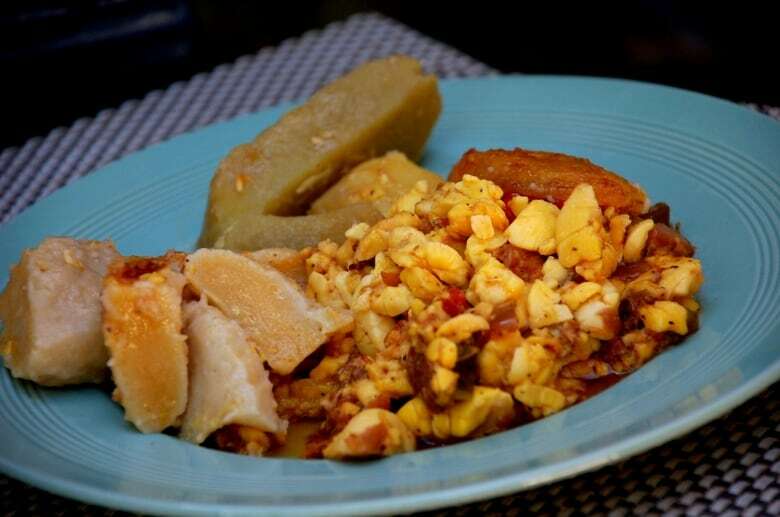 Another of Thomas's favourite dish is ackee (a fruit) that is sautéed with saltfish (salt cod). I'd be remiss if I didn't mention the long-standing Ellison's Bistro in Kitchener; Elvis Ellison has been cooking the dishes of his heritage for decades in the downtown. Look for lunch specials like fritters of pumpkin and callaloo (leafy greens), island-style fish and several vegetarian dishes. Although the country is in the Horn of Africa and not Western Africa, Ethiopian restaurants in Guelph (Warka Tree) and Kitchener have become increasingly popular. 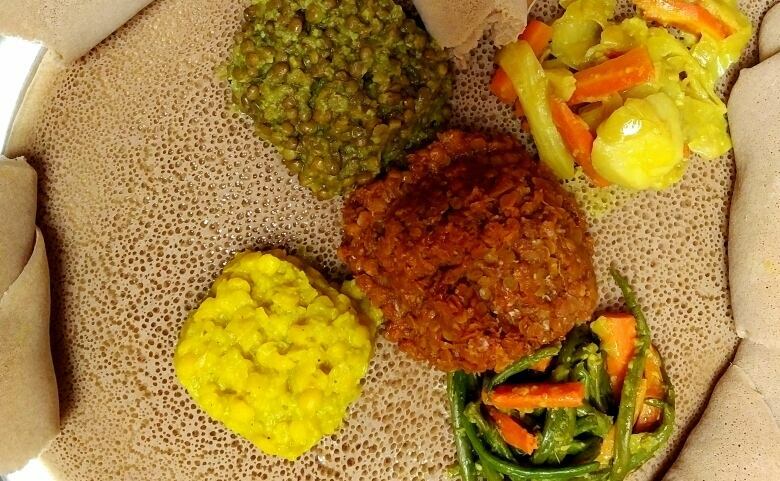 They feature injera, a fermented, spongy pancake-like flatbread, that is used in place of conventional fork and knife. Both East Africa Café (with its new market store) on Ontario Street and Muya Restaurant on Highland Road offer excellent vegetarian options and the chile pepper-based spice mix berbere. The former venue serves a vegan buffet on Tuesday. Regardless of where you get your fill of this comforting food, it's good to recognize and value its place in the community, Hines summed up. "The interesting thing is that there's a great deal of varied food here and a great deal of varied culture, too." Ivey's Caribbean on Wellington in Cambridge: A small shop that's been up-and-running for 13 years. Rainbow Caribbean Cuisine: A fixture on King Street in downtown Kitchener. The Caribbean Kitchen: Upstairs at Kitchener Market, serving ackee with saltfish. Guelph Caribbean Cuisine: Located on Cork Street in Guelph. They serve boneless curry goat. Underground Kitchen: Take-away venue on St. Andrew Street, Fergus, blending Caribbean and Indian flavours. Daily specials like Turmeric Tuesdays for curried meatballs and Be a Jerk Thursday for Jerk Chicken. In a hot pan with some vegetable oil, sauté the bacon, onion and pepper until cooked and just soft. Add the rice and black-eyed peas and cook through to hot.